Beer before breakfast? You bet! 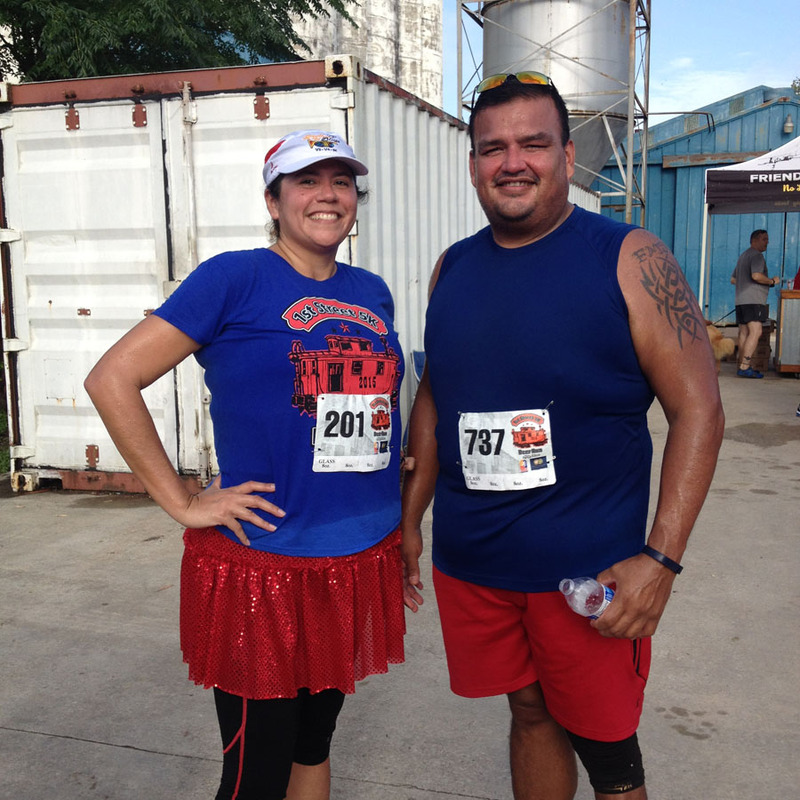 A couple months ago I did a 5K with my cousin Slim. 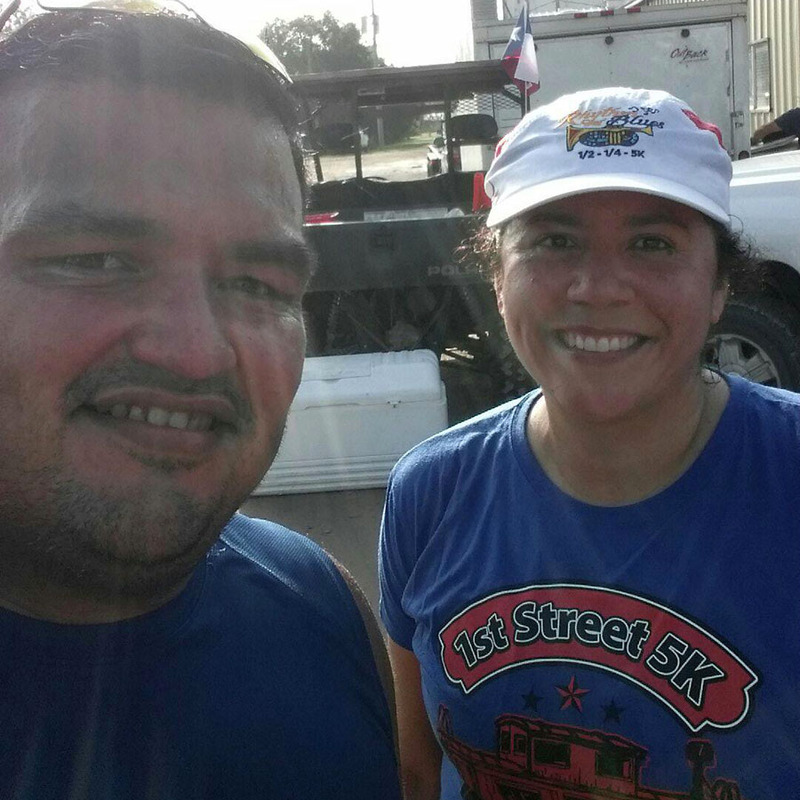 Shortly after, he said he wanted to do the 1st Street 5K at No Label so we signed up and started training. We met up at No Label the day before the race for happy hour and to pick up our race packets. We also made plans to meet at 6:30 am on race day. A few days before the event, race management sent out an email about parking. Because we had been having so much rain, parking at the brewery was going to be limited (it’s mostly grass parking and the ground was saturated), but they arranged for alternate parking at a nearby church. I showed up early enough and didn’t have any problem finding parking at the venue. And then it happened. 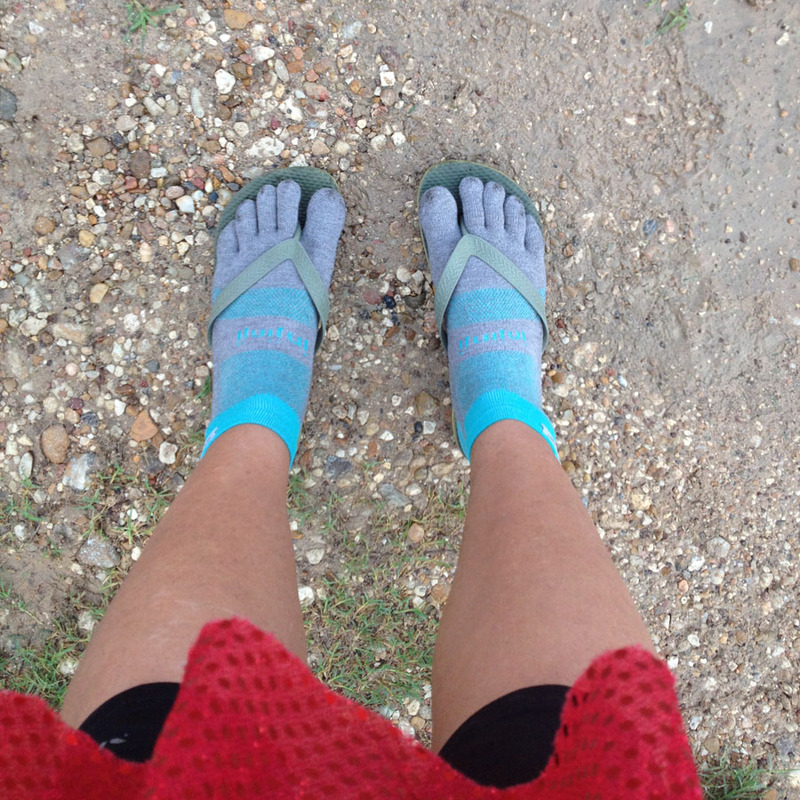 As I was getting my gear together, I realized that I had forgotten to pack my running shoes! Ahhhhh! This was not good. All I had with me were my flip-flops. Luckily, I arrived an hour before the start so Kurt was able to rush my shoes to me while I waited for the rest of my meetup group. I readied myself as best as I could, and then made my way over to the starting line to wait for Slim. I didn’t have to wait long because he was already there. He laughed at my situation and asked how I could possibly forget the most important thing I need for the run. I don’t know, I wanted to get there early so I didn’t put my shoes on before the race. And I had them next to the front door so I wouldn’t forget them! Sigh. We took our requisite before pictures and warmed up. Several minutes before gun time, we were warned about the potholes and loose gravel in the first and last quarter mile. Then as everyone started walking to the start line, Kurt arrived. I quickly changed into my shoes, and took off. I then realized I forgot my chip so I had to go back. Finally, I attached my timer and joined the crowd. I bumped into some friends that I hadn’t seen in a while as I made my way to the start, and we chatted a bit. Then, we were off! Pre-race Selfie. Photo by Juan V.
The course was nice and flat, and fantastically shady. This was great because, even with a 7:30 am start time, it was hot and humid! The sweat was not evaporating from my skin! Or clothes for that matter. I ran this race last year, and I think the new course was an improvement and had more tree cover. Still, I had to use a run/walk strategy to get through the distance. The first mile was indeed littered with potholes, mud, and loose gravel. It was also crowded with people and cars lining both sides of the street. After the first mile, I switched to a run/walk to maintain my goal pace of 13:00 m/m. By the time I hit 1.5 miles, I was ready for some water. Miles 2 and 3 went by as anticipated, and I picked the pace back up for the final tenth. After crossing the finish line, I found Kurt, talked to my friends and then waited to cheer on my cousin (it was his third 5K). He finished with a PR! The nice part about finishing was the MC announcing runners as we crossed under the banner. That’s always a nice touch. 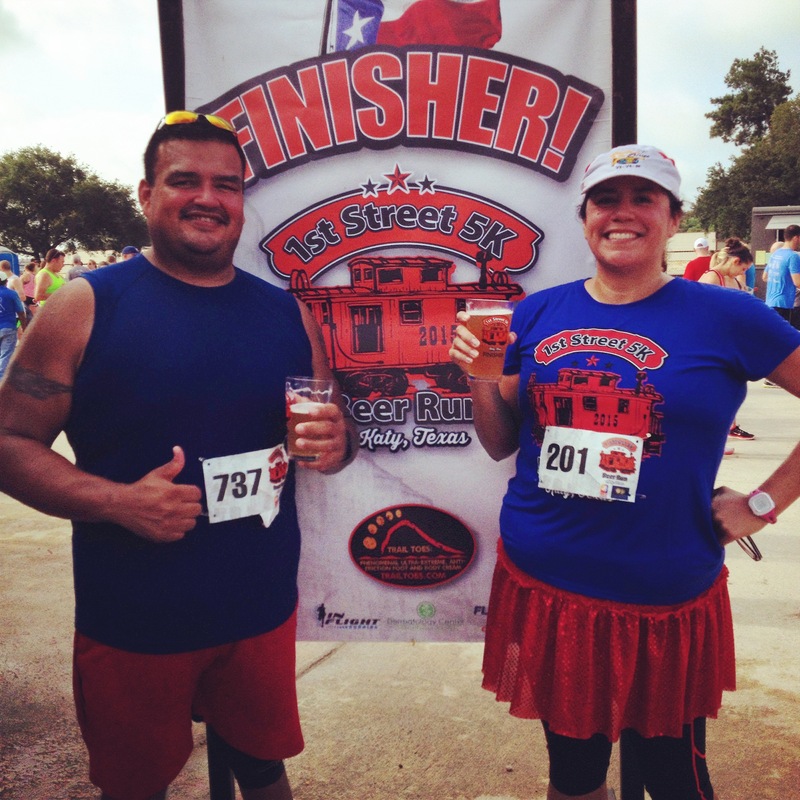 We grabbed some water and then got in line for the finisher’s pint glass and beer. There were three beer lines—two outside and one inside the brewery. But with a sold out race, the wait was still long. Although, I have to say, it was an improvement over last year where the glass and beer lines were separate. This year, they combined the lines, so we only had to wait once. More pictures, and then we settled down for the award ceremony and raffle. Sadly, I didn’t win anything, but I would have loved to win one of the leftover awards they gave away. They had four 70+ age group steins—one men’s and three women’s. I joked that if I’m running at 70+ I have a chance of winning. The event was well organized and reasonably priced for what we got. Packet pick up was a breeze, and we had three opportunities—Thursday, Friday, and the morning of the race. The shirts were a nice soft tech, which I like because they feel more like cotton. I’m not crazy about the color and design (I liked last year’s better), but I’d wear it for training runs or boot camp. 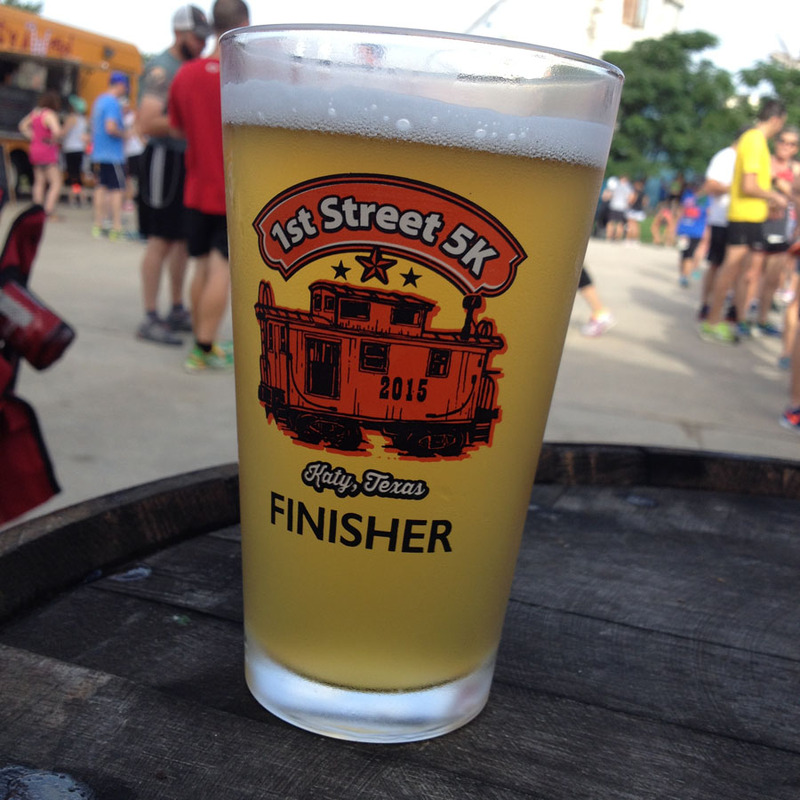 And of course, the finisher’s pint glass was well done. Our bib came with four tabs for 8 oz of beer (two at a time gets you a full pint), and we had four beers to choose from. Other post race refreshments included bottled water, sports drink, and fruit. Food trucks (3) were on site at additional cost. The volunteers on the course were great! There was at least one active intersection that didn’t have police presence that I feel should have. Also, at one point in the first half police were stopping runners to let traffic through. Overall, I had a great time at a great place with friends and family, and I will definitely be running this one again.